Innisfail presents a winning opportunity for commercial and industrial enterprises looking to establish or expand operations in Central Alberta. As yet another addition to this list of top towns (outside of Sylvan Lake) to build in, Innisfail is prime for your business. The town is beaming in light of current news stating that the federal government is increasing funding plans for infrastructure in Innisfail (and other Central Alberta municipalities). It will become much more affordable for the township to undertake projects regarding roadways, water and waste management, recreation, and arts/culture, all of which can directly or indirectly benefit your business. 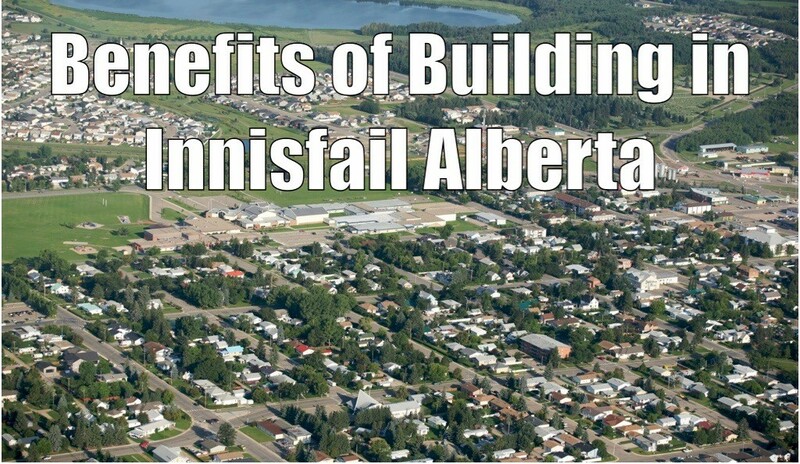 Recent news aside, we thought we’d share a few other longstanding benefits of launching your construction project in Innisfail. We’re not referring to physical beauty here (although that’s true too). Instead, we reference “attractive” from a consumer standpoint (be it B2C or B2B). The census population of Innisfail is a few newborns away from the 8000 resident mark, making it one of the more lucrative of growing towns in the province. The key to Innisfail’s population appeal is its equilibrium. The top four age groups express balanced diversity with ages 5-9 accounting for 5.6%, 35-39 at 5.4%, 50-54 at 6.4% and 65-69 at 5.23% of the total population. Your customers are here today and tomorrow. The town’s slogan “Pride in Our Past, Faith in Our Future” speaks to this fact. Innisfail has a rich history in the industrial sector of agriculture. The unique soil and climate of the region makes it attractive for growing crops and raising livestock. Factor in the expansion of manufacturing and the energy sector over recent times and you’ve got a town ripe for industry. The growth in specialized labour to accommodate the growth in industry is accompanied by increases in disposable household income which has driven a commercial goods and services boom. Both industrial and commercial enterprises are finding a lucrative home in Innisfail. Your customer base is here, as is the economic infrastructure. Yet another positive is found in the reduced monthly expenses and utilities, all born from Innisfail’s access to natural resources. The town acquires water from nearby Red Deer River and has three convenient pump stations in addition to three water storage reservoirs with a capacity of 2.5 million imperial gallons. The industrial district for instance, is located in an area easily serviced with municipal water and sanitary sewer services. Given the rich energy sector of the region, additional oil, gas, and alternative energy resources are readily accessible, further reducing utility cost and ultimately your monthly expenditures. The aforementioned rise in commercial services, which include telephone, internet and cable service providers, have created a competitive environment which will further reduce the cost passed on to your business. Innisfail is very accessible via air (Innisfail, Red Deer, and Calgary International), rail (CPR main line), and is located on the intersection of Highway 2, the main north-south highway that links the cities of Calgary and Edmonton. The industrial district is granted access to Highway 2A in addition to the QEII Highway (where major gas pipelines are located) through the north interchange. Innisfail is located 30 minutes from Sylvan Lake, 25 minutes from the city of Red Deer, just over an hour from Calgary, and under two hours from Edmonton. Your “out of town” customers and suppliers alike are in near proximity. There are also reputable trucking firms and courier services available to accommodate your business needs. Innisfail’s Municipal Development Plan (MDP), Inter-municipal Development Plan (IDP), Area Structure & Outline Plans, and Land Use Bylaws strategically address the town’s immediate needs while at the same time consider long term goals for future development and growth of the industrial and commercial business community. Information regarding development, building, and utilities permits is readily available. Access permit application forms here. Better yet, contact our Central Alberta commercial and industrial construction company and let us begin the process for you, and see it through to the completion of your build. Call Apple Building Systems at 403-887-2291 anytime.